The kitchen and bathroom are two of the most customisable rooms in any house, and upgrading to new fixtures and fittings will give your home a truly luxurious feel. At DPS Services, in Darlington, County Durham, we supply and fit a variety of stunning kitchen and bathroom installations, helping our clients to personalise and update their property. For homeowners in need of more space, we recommend discussing our garage and loft conversions. In order to ensure that the perfect installation is provided, we will visit the client’s property to host a consultation. During this time, we will discuss their needs and preferences, and show them through our comprehensive brochure of stylish fixtures. DPS Services sources high-quality materials from an array of reputable suppliers, meaning no matter which fixtures the customer chooses, they will be of the highest quality. After the materials and design have been determined, we will provide a free quotation for the job.  Contact us now, in Darlington, County Durham, to receive more information about our kitchen and bathroom installations. 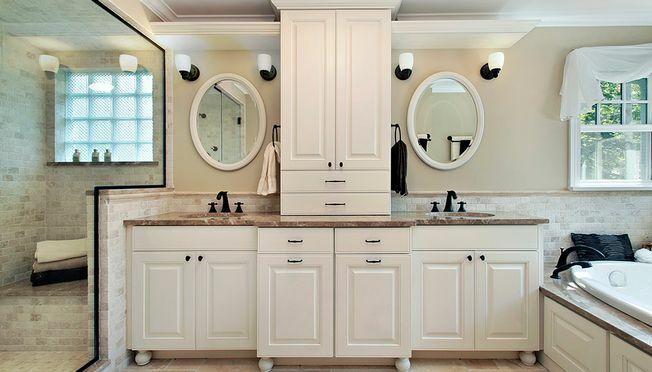 Before installing your new bathroom or kitchen suite, our builders will safely and efficiently remove any old fixtures that remain in the space. Following this, your new suite will be precisely fitted in line with the agreed design. There are many additional pieces of work that we also take care of after the installation, including plumbing, plastering, and tiling in a bathroom, and fitting gas and electric connections in the kitchen. At DPS Services, we take pride in the quality of our work, and this includes making sure that the working area remains clean and tidy throughout the job.